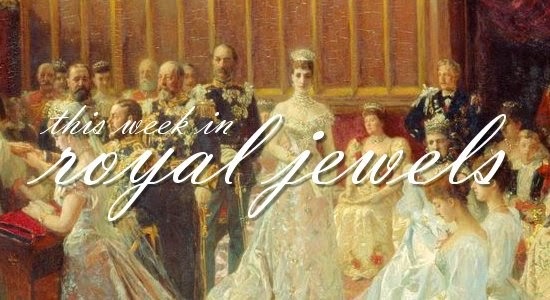 Summer vacations and Olympic meetings dominate this week's jewel roundup. Be sure to vote for your favorites in the poll below! 10. Infanta Elena of Spain was in Palma de Mallorca this week for the royal family's annual holiday. 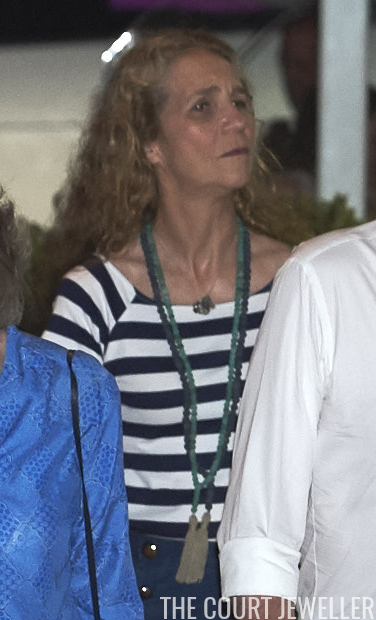 She wore casual stacks of bracelets and necklaces on Monday at the Calanova Nautic Club. 9. On Friday, Queen Letizia of Spain wore glittering star-shaped stud earrings to bid farewell to Spain's Olympic team at the airport in Madrid. 8. 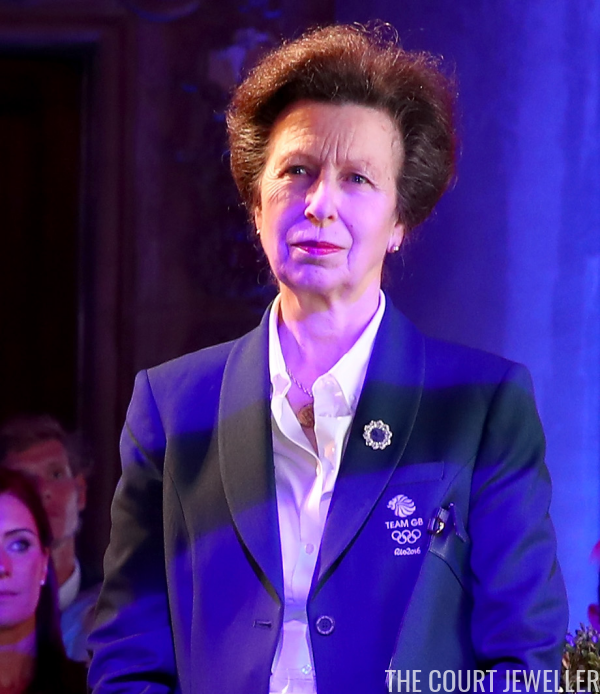 In Rio, Princess Anne wore pearls and a floral-esque brooch at the Team GB British House Reception on Wednesday. 7. In Mallorca, Queen Letizia wore a pair of gold-toned hoop earrings from Mango for a big family dinner on Sunday at the Flaningan Restaurante. 6. Infanta Elena chose a tasseled statement necklace for Sunday evening's dinner. 4. Here's a royal lady we don't see often enough: Princess Barbara of Yugoslavia (nee Princess Barbara of Liechtenstein), the widow of Prince Alexander of Yugoslavia, who was the son of Prince Paul and Princess Olga. 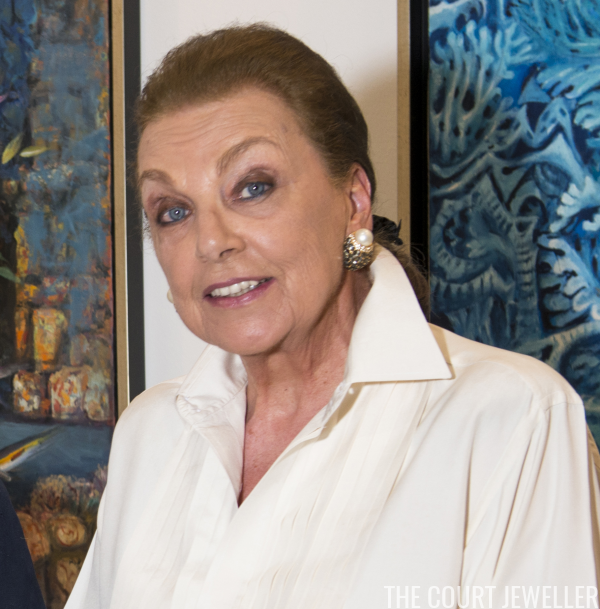 She wore a pair of major earrings with pearls for an art exhibition in Marbella on Friday. 3. Crown Princess Mary of Denmark attended the opening meeting of the IOC in Rio on Monday; she wore major statement earrings, plus bracelets and rings, for the event. 2. 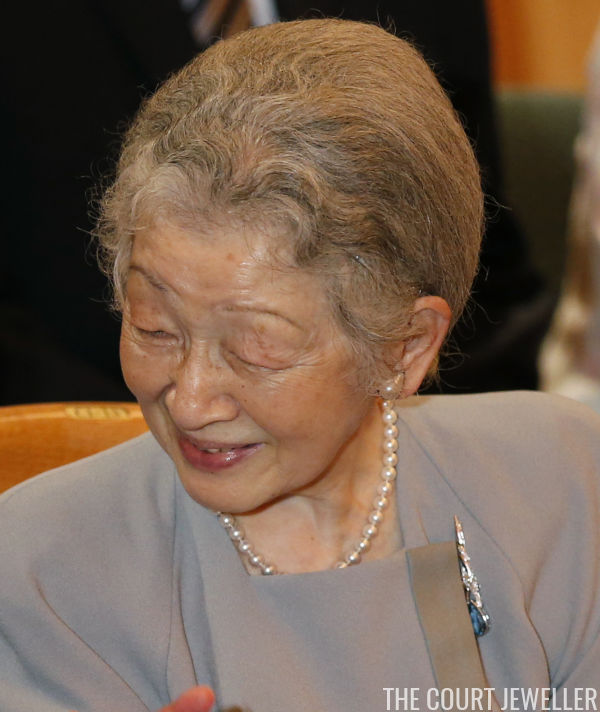 Empress Michiko of Japan was in Tokyo on Sunday for a concert. Unusually, she wore both pearls and a jewel with a colored gemstone: a lovely brooch that is set with diamonds and a blue stone (possibly a blue topaz?). 1. 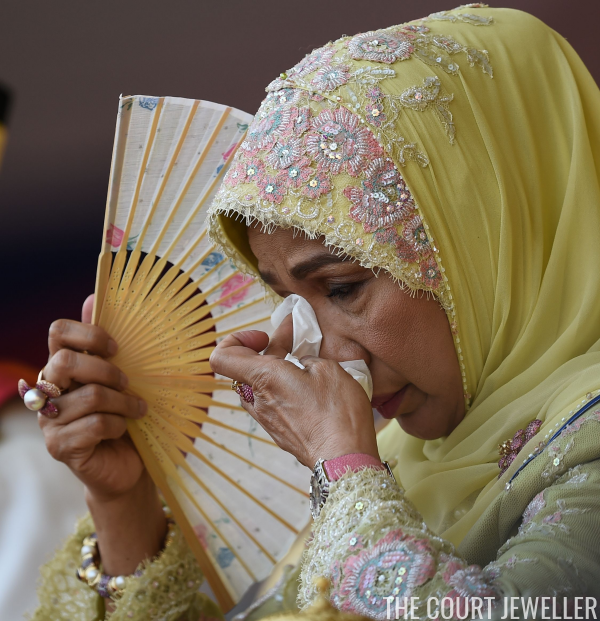 Queen Haminah Hamidun of Malaysia wore glittering jewels -- including rings and a gem-studded brooch -- for Sunday's Warriors' Day Celebration, where she was visibly moved by the presentations.